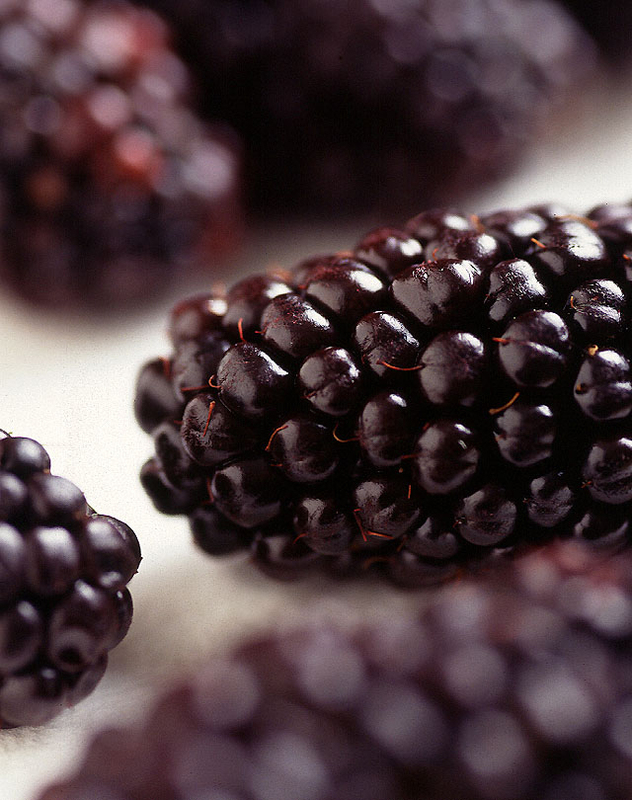 Blackbery photo by Scott Bauer, courtesy USDA Agricultural Research Service Image Library: Fruits & Veggies. Blackberries (also called "bramble berry" or "bramble raspberry") are a widespread and well known group of several hundred species of berry native throughout the temperate Northern hemisphere, usually with numerous (and very sharp) short curved spines on the plant stems ("thorns"). 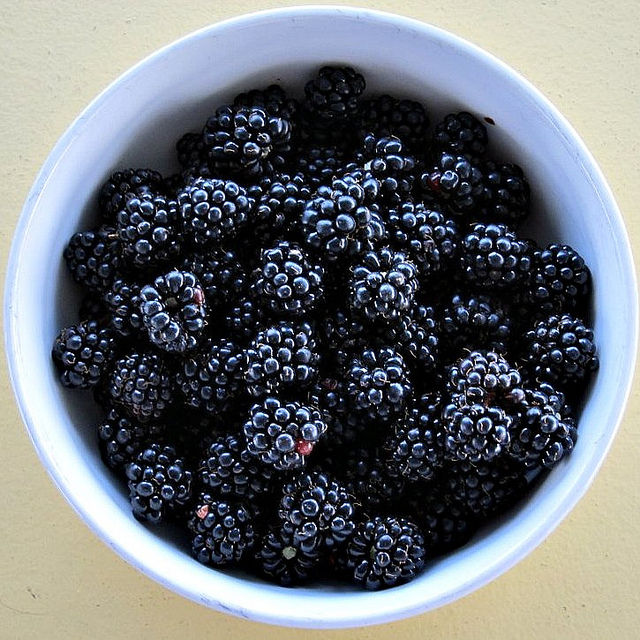 Blackberries are delicious raw (sprinkle on cereal or make a fruit smoothie) and are also used in cooked desserts, jams, seedless jellies, and wine. 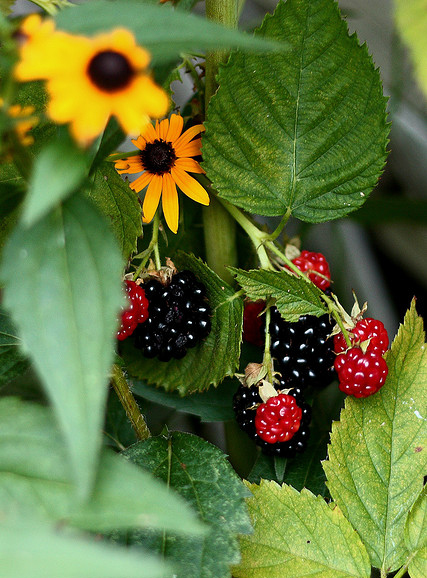 Ripening blackberries; photo by Liz Brooks on Flickr (noncommerical use permitted with attribution). Bowl of blackberries; photo by Stephen Rees on Flickr (noncommercial use permitted with attribution / no derivative works).